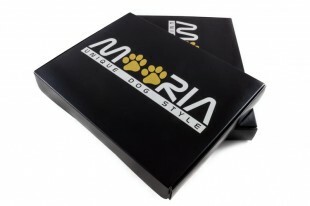 Mooria products are manufactured individually for each customer. That allows us to offer high range of designs, colors and types. Once you submit the order we start with the production which typically takes up to five business days. We will inform you about estimated shipping date together with the order confirmation. As we understand that it is not easy to choose from so many options we are happy to replace product that does not meet your expectations or when selected size does not fit your dog. However this guarantee does not apply to individually adjusted items (custom sizes, individual design, collar with name tag). If you still cannot find the best fit or have any questions or requests for individual adjustments, do not hesitate to contact us and we will help you with right selection.